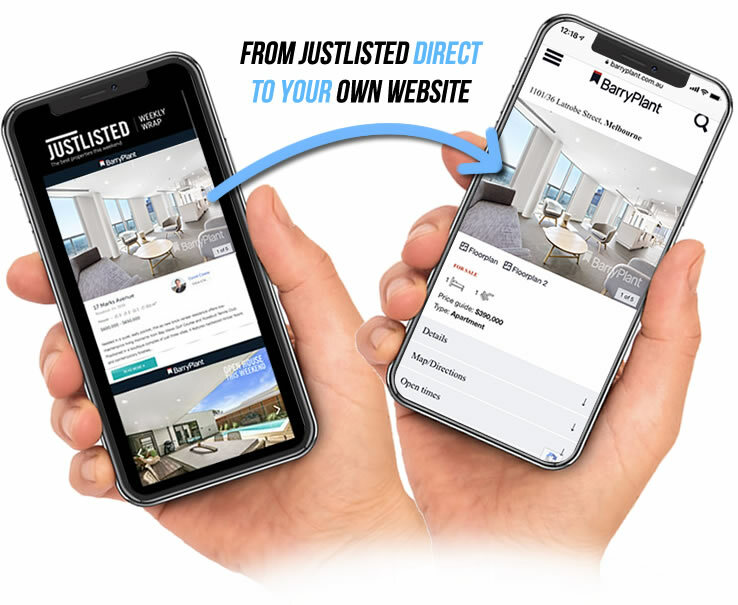 JUSTLISTED directly links our high quality audience of email subscribers straight to the actual property on YOUR OWN AGENCY WEBSITE. This feature builds your agency brand and value, reduces reliance on 3rd party portals, and allows you to clearly publish open times, agent contact details and other crucial information as you wish. People generally check their email at least once a day, and our format of limiting the number of listings so each JustListed edition has only one page of properties ensures your chosen properties are always right there on page 1 of the publication. By reaching a much wider audience at the beginning of your sales campaigns, you also increase the awareness and exclusivity of your properties among buyers - creating excitement even before they are found on any search portals. Speaking of being found, another huge benefit is that you don't rely on people actually searching and finding your listings like you do with a traditional portal. With JUSTLISTED there is no search to worry about…your chosen properties are always right there on page 1 - with no need to buy expensive upgrade options. And, being an email format, your properties, branding and links all stay in the pocket of our audience right there in their inbox, always ready to be viewed and shared easily at any time. What about properties that have reached the end of their campaign period and have failed to sell despite all traditional marketing efforts? Our innovative 'End of Campaign Listings' section in each JustListed edition creates excitement among buyers that these properties may now have motivated sellers. By listings selected properties in this section, you can re-ignite interest in them and attract buying offers to start the negotiation process. 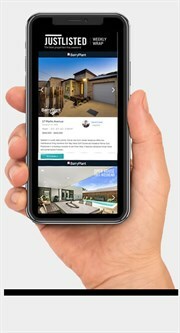 To view our rate-card, book your insertions or find out more, head to JustListed.com.au today.